Kick off your Thanksgiving family tradition in the heart of Downtown Reno! 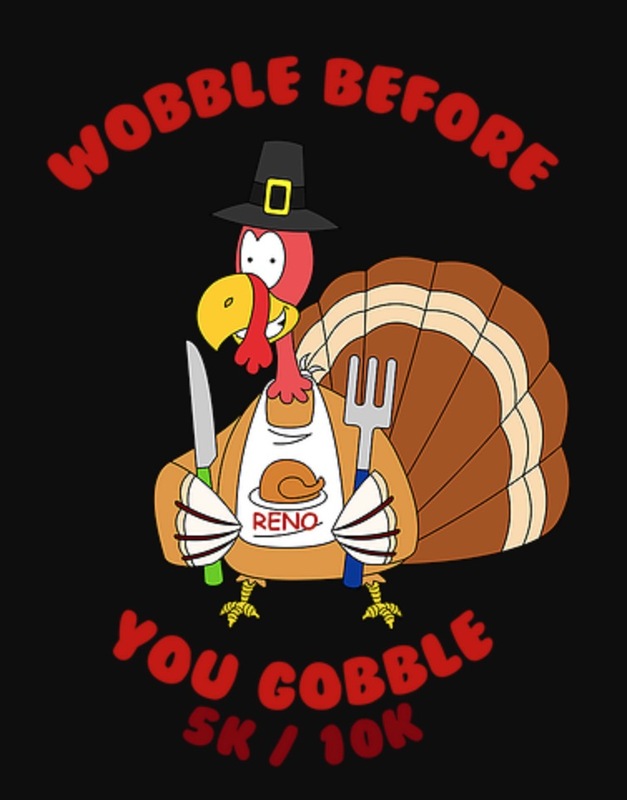 Reno’s Wobble Before You Gobble 10K & 5K is a family fun run/walk/wobble that kicks off your Thanksgiving morning festivities. This event starts at the Reno City Plaza and follows the Truckee river path through Idlewild Park before heading back to the finish line. Sponsored by the City of Reno benefiting ​The Children’s Cabinet.